Jefferson Parish is the largest Parish in Louisiana with a little more than 400,000 people. The Parish covers roughly 640 square miles and is bordered by Lake Pontchartrain to the north. 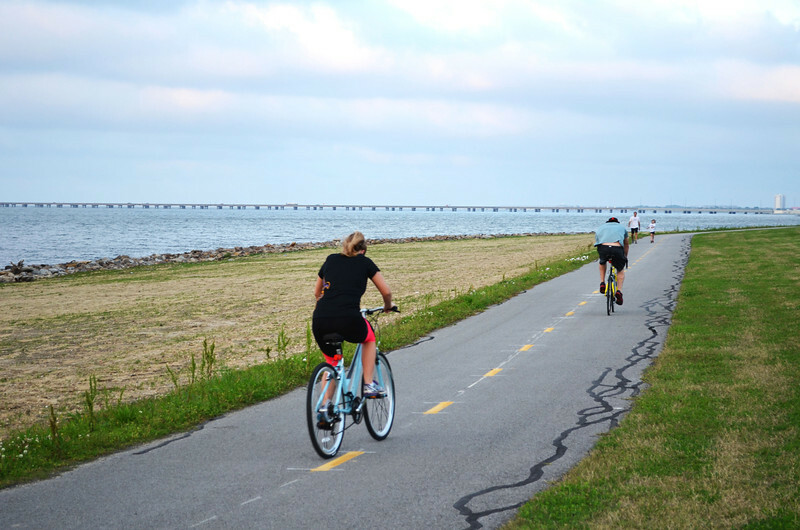 Along the shores of Lake Pontchartrain is one of the most beautiful bicycle and pedestrian paths in the area. The Jefferson Linear Park extends approximately 10 miles from Kenner to Metairie. In 1995 and 1997, Jefferson Parish received two Transportation Enhancements funding awards for a cumulative of $1,228,877 and $64,678 in additional local funds. This money went towards the design, engineering, and construction of the path. This path in particular is unique because it runs on top of the Lake Pontchartrain Lakefront Levee. Connecting several communities with the beauty of the Lake, this path is truly mesmerizing!